The library has re-opened its search for a part-time Maintenance Custodian. Please apply by May 10. Try your hand at beating the maze in the Creation Station during the month of April. The Laser Maze game requires you to use mirrors, beam-splitters, a little science and brainpower to direct the laser through a series of mind-challenging mazes and light up the target. This award-winning maze game is designed for solo play, but it is so much fun, everyone in the family will want a turn. 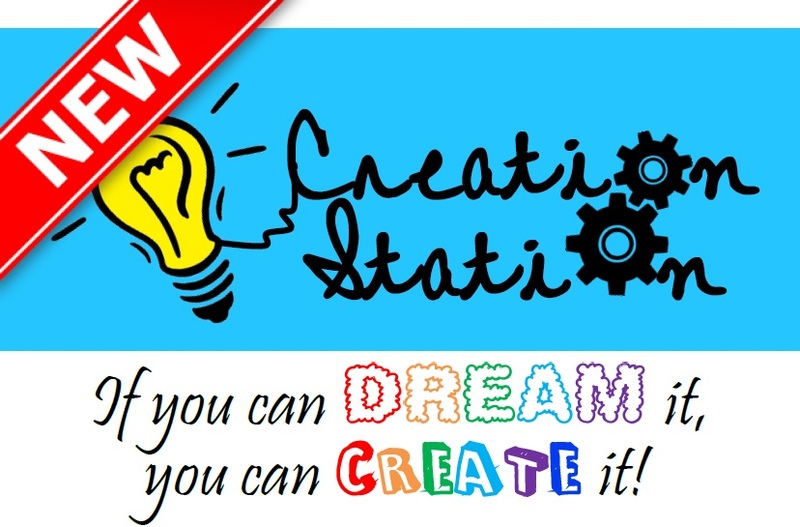 The Creation Station is a do-it-yourself space where users are encouraged to experiment. The space features different gadgets or tools each month. We have a new app. 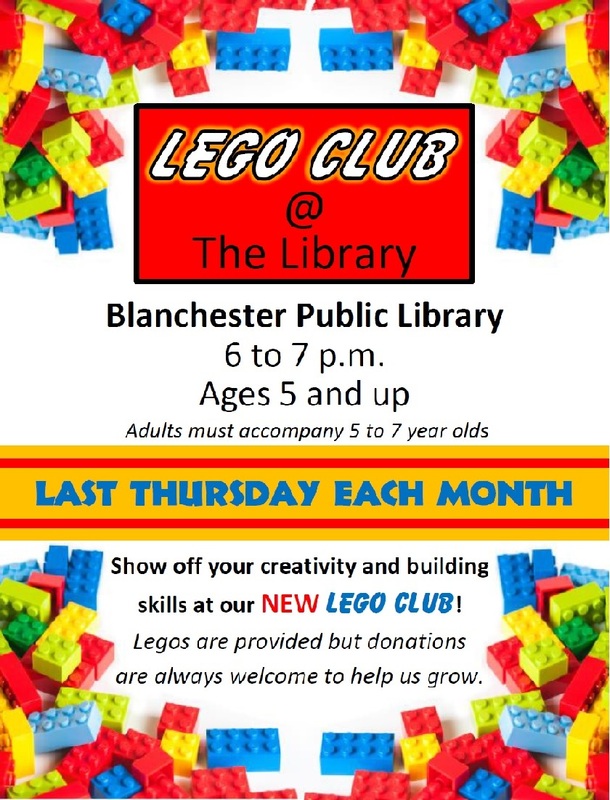 Blanchester Public Library, through the Consortium of Ohio Libraries (COOL), has a mobile app to put the library at your fingertips. Go to your app store on Android or Apple and download the "COOL Libraries" app. 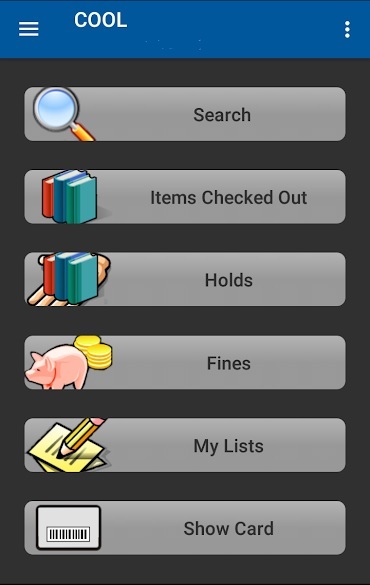 From any smartphone or tablet, you can instantly tap into library resources, search the library catalog, check your account, and much more.The app also allows you to use your device as your library card. The library's previous app is no longer functional and should be removed from your device. Alex believes he is just another nobody until he stumbles upon Excalibur, the mythical sword in the stone. You will not want to miss The Kid Who Would Be King, which will be shown Saturday, May 4. Alex unites the wizard Merlin, his enemies, and his friends to take on Morgana, the enchantress in this new-to-DVD release. 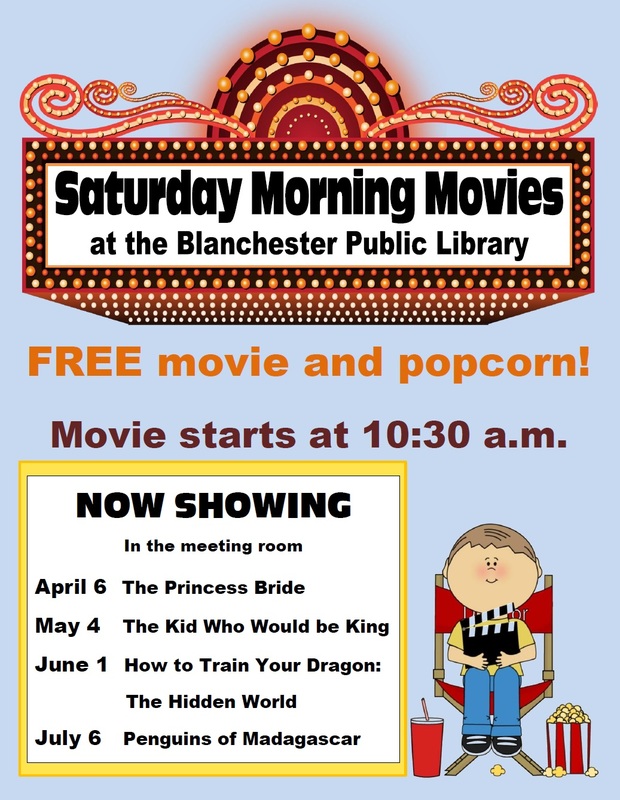 The free family-oriented movies begin at 10:30 a.m. in the library meeting room and include popcorn. For more information, visit the library or call 937.783.3585. The Friends of the Blanchester Public Library annual spring book sale runs from May 18-25. The sale will be open during library hours throughout the week in the library meeting room. This sale features a large number of donated items. The Friends of the Library welcome all donations. To donate items, just bring them to the library. All proceeds from the sale are used to support the library. Blanchester Public Library patrons now have access to several new databases, as well as more than 12,000 courses through Lynda.com. As part of LinkedIn Learning, Lynda.com helps anyone learn business, technology and creative skills to achieve personal and professional goals. The courses range from computer programming to project management and include instruction on various business topics. Patrons just need their library barcode number and PIN to access the courses. New databases availaible are Chilton Library, Fold3, Heritage Quest, Hobbies & Crafts Reference Center, Home Improvement Reference Center, Kids InfoBits, and Oxford Research Encyclopedias. The databases are provided by the Ohio Public Library Information Network (OPLIN), which also provides the library's Internet connection. All of the databases available to library users, with a brief summary, are listed on the Research page of the library website. These include databases the library pays for individually, plus those provided statewide by OPLIN, as well as some free web sites. Children from ages 2-5 will build a foundation for reading success through stories, play and activities. And you are invited to register your child anytime for the library's regular morning storytime sessions. Just show up for one of the morning sessions to register and your child will receive special storytime checkout privileges with no late fees. 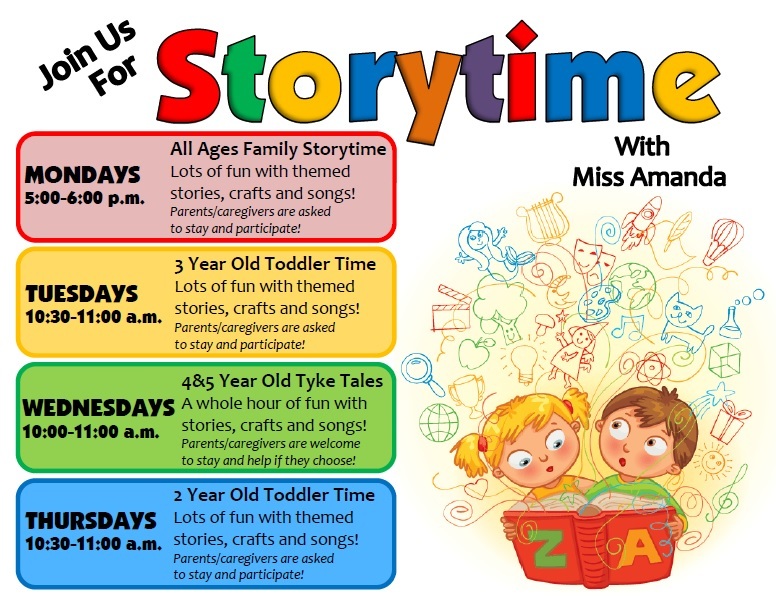 Morning storytimes are separated into age groups, but we also have our popular Family Storytime from 5-6 p.m. each Monday. No registration is required. Children (and adults) of all ages are welcome to just show up and enjoy a story, songs, crafts and a light snack. For more information, please visit the library or call 937.783.3585. 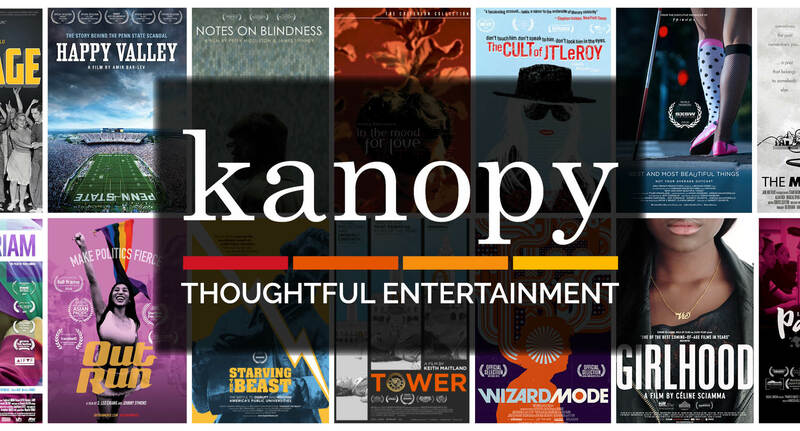 The library now offers Kanopy, a streaming video collection featuring more than 30,000 films. Find films on every subject imaginable, plus educational content from The Great Courses and PBS, and a selection of must-see classic films from The Criterion Collection. The service is free to use with your library card. Visit the library's Kanopy page and click the "Sign up" button in the top right. A confirmation will be sent to the e-mail address you provided. Once you have confirmed your e-mail, you will be asked to enter your library card number. You will only need to do this once. Once you have entered your library card number, you are ready to watch.